Or should I say an update on my books formerly in process. I had a productive weekend in which I finished not just the book I was reading but also the audiobook I was listening to. On Friday, when I came home from work but before I left for a dinner of cheap Chinese food and free wine, I managed to read the last chapter or two of Lorrie Moore’s A Gate at the Stairs. I really liked the book and wish I knew more people who read it because I have things I want to talk about. I’m sure my mom would have had a lot to say about it since she recommended the book in the first place. So many sad and complex things happened but it was all done so well. Then Saturday on my way to and from brunch and a haircut and the like, I reached the end of The Paris Wife audiobook. It almost made being in Chinatown bearable. 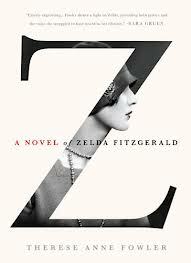 I really enjoyed the story of Ernest Hemingway’s first wife Hadley. I did feel, though, that the narration was an ill-fit. It sounded more like chick lit which I don’t believe it should have. Still, I eventually got used to that aspect and it didn’t greatly alter my feelings on the book. There were also times I got frustrated with the main character for not standing up for herself more, but I had to remind myself it was a different era. Anyway, all of that left me on Sunday with nothing to read or listen to. Sometimes I find it hard to dive into something new but it’s that time. I loaded my iPod with the So Much Pretty audiobook by Cara Hoffman and cracked up (metaphorically since it’s on my Kindle) Drinking: A Love Story by Caroline Knapp. I’ll keep you all posted! 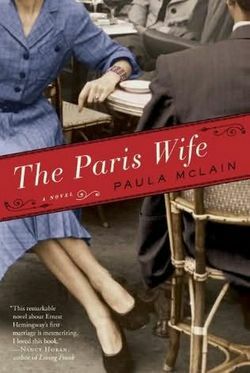 Set during a remarkable time, the same period as Ernest Hemingway’s A Moveable Feast and The Sun Also Rises, Paula McLain’s The Paris Wife brilliantly captures the voice and heart of Hadley Hemingway as she struggles with her roles as a woman—wife, lover, muse, friend, and mother—and tries to find her place in the intoxicating and tumultuous world of Paris in the twenties. 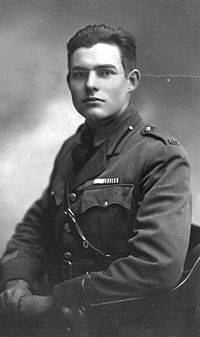 Now that I’m into it, I realize how little I know about the famous writer that is Ernest Hemingway. The Old Man and the Sea is Hemingway’s only book I’ve read and I only read it because AP English forced me to. While I was not a fan of The Old Man and the Sea, listening to The Paris Wife has made me curious about some of Hemingway’s other books. It seems in the last year or so I’ve been reading books about famous authors whose work I’m not well versed in. From Ernest Hemingway to the British literature mentioned in The House on Fortune Street, I’m beginning to feel a little inadequate about my literary education. I think maybe once this project of reading the books on my mom’s list is complete, I will take on a new project of reading more classics. While I will always love to read the newest and most buzzed about books, I’ll try and slip in a Jane Austen here or there.